Invision is a prototyping tool that allows you to quickly and easily create clickable, interactive mockups. 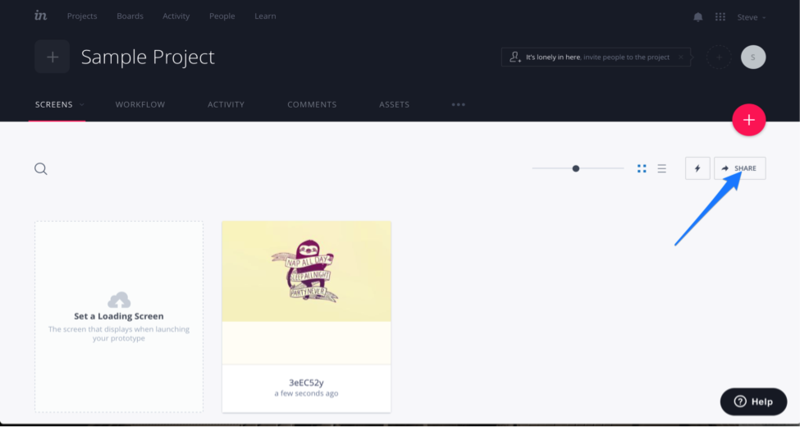 Just upload your designs or static images to Invision to turn them into working prototypes complete with gestures, transitions, and animations. Once you've uploaded your image(s), you'll receive a URL for a high fidelity prototype which you can then share with testers in a UserTesting study. All you need to do is add the Invision link as the starting URL of your user test. Here are some simple steps we recommend taking if you are using Invision to create your prototypes. 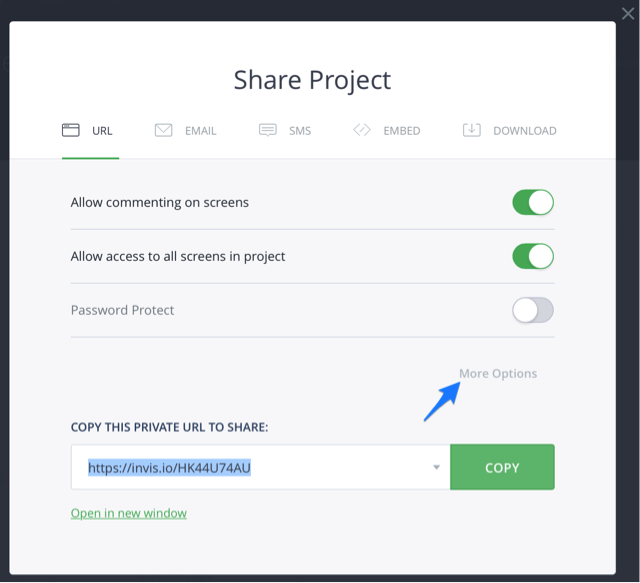 These adjustments must be made BEFORE extracting the sharing link, as these settings often affect the URL of the prototype. 1) Open your project. Then click on Share. 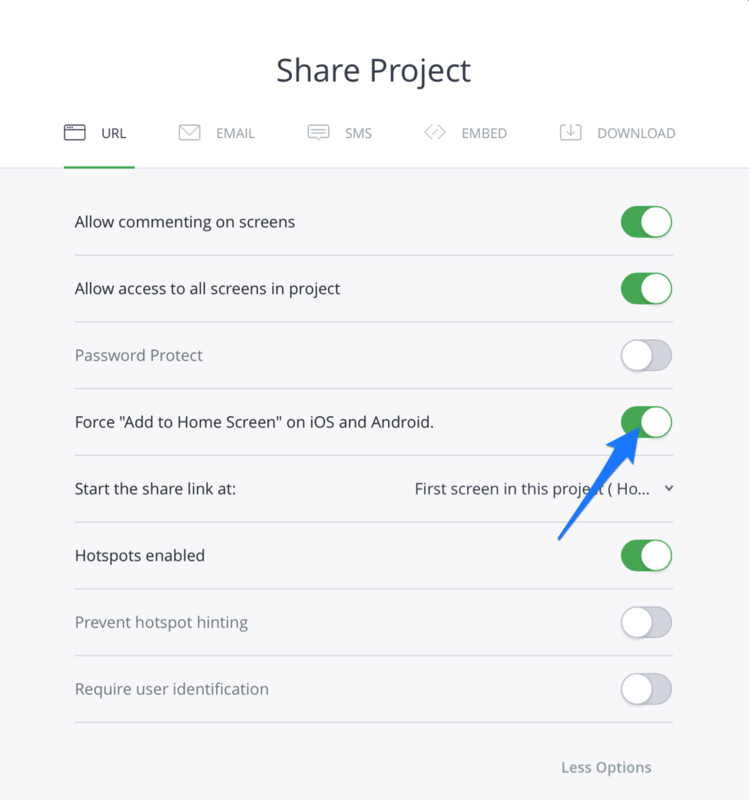 2) Expand the additional sharing options by clicking More Options. 3) For mobile testing, toggle off Add to Home Screen on iOS and Android. 4) Copy the URL to share.